Construction workers perform one of the most dangerous occupations in the country. Rules are in place for safety at construction sites, but construction workers are often at great risk for serious injury. Hundreds of thousands of workers are injured and even killed in construction accidents each year. If you or a loved one are involved in a construction accident, a Philadelphia construction accident lawyer at Rosenbaum & Associates is available to help. Some workers in Philadelphia can only collect workers’ compensation benefits, while others can recover damages separate from their employer, including other contractors or subcontractors, while also qualifying for worker’s compensation benefits. Construction accident cases can be very complex. Hiring lawyers who have years of experience in investigating construction accident claims is a must. In addition there are unique theories in construction cases and all possible avenues of recovery should be explored. Hiring an experienced Philadelphia construction accident lawyer is strongly advised. These knowledgeable attorneys can sort through the accident claim investigation reports and find information vital to your case that a less experienced attorney might overlook. The list of defendants may be extended to include manufacturers, designers, architects, and subcontractors. insufficient bracing or support of concrete structures. Scaffolding accidents in Philadelphia are a primary cause of construction site accidents and deaths. Assembly and maintenance of scaffolding is often performed negligently. Scaffold related accidents number 10,000 or higher annually and have multiple causes. Plank or supports failure is common, as is being hit by falling objects and slipping. Injury due to falling from scaffolds accounts for one quarter of construction worker deaths. Crane-related accidents account for numerous injuries annually. Occupational Safety and Health Administration (OSHA) states that approximately 50 deaths annually are due to crane accidents. Contact between cranes and power lines is common. Crane accidents are also due to crane assembly or crane dismantling (12%), rigging failure (7%), boom buckling (8%), and crane upset and crane overturning (7%). Welders are exposed to a variety of on-the-job hazards. For example, the ultraviolet radiation generated by the electric arc in the welding process can cause severe burns to the skin and lens damage to the eyes. Philadelphia workers who use flame cutting equipment are also exposed to infrared radiation, which can cause thermal burns. In addition, the intense light associated with welding, cutting, and brazing can produce a variety of eye problems, including damage to the retina. Construction projects in Philadelphia often use various types of compressed gas that can be quite dangerous. Potential for accidents due to mechanical and chemical hazards is high. Gases can be combustible, flammable, explosive, poisonous, corrosive, or toxic. Flammable gases can explode or cause or spread fire. The threat of asphyxiation, poisoning, and suffocation exists due to presence of toxic gases. In addition, because compressed gases are contained in pressurized metal containers, special storage and handling procedures must be followed to avoid a potential detonation of the container. Proper and thorough investigation can be the difference in a successful claim. Timely investigation of the accident is the key to identifying and prosecuting construction accidents in Philadelphia. The investigation may include interviewing witnesses, obtaining photographs of the accident location before there are any changes, obtaining copies of the work site plans and of the contracts between the General Contractor and the subcontractors, obtaining copies of any safety manuals used by the General Contractor and the subcontractors, working with construction site experts to establish who was at fault for the accident. Since early investigation and legal intervention is important you should obtain legal assistance immediately. 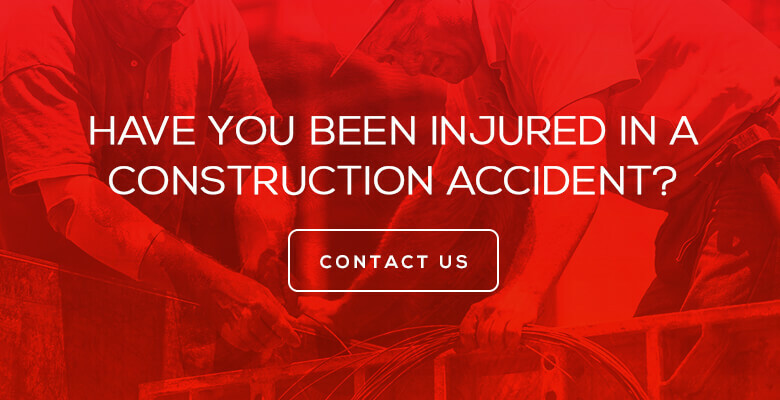 If you would like more information please contact a specialized Philadelphia construction accidents lawyer at Rosenbaum & Associates online or call 1 800 7 LEGAL 7 for a Free Case Evaluation.